Congratulation to our www.chemeon.com Research Chemist, Dr. Catherine Munson. Named to the Products Finishing Magazine 40 under 40! CHEMEON Surface Technology Dr. Catherine Munson. 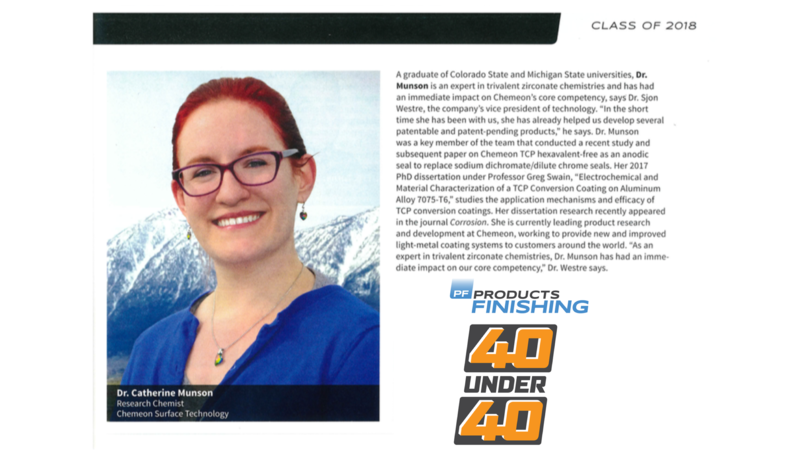 Named to the Products Finishing Magazine 40 under 40!